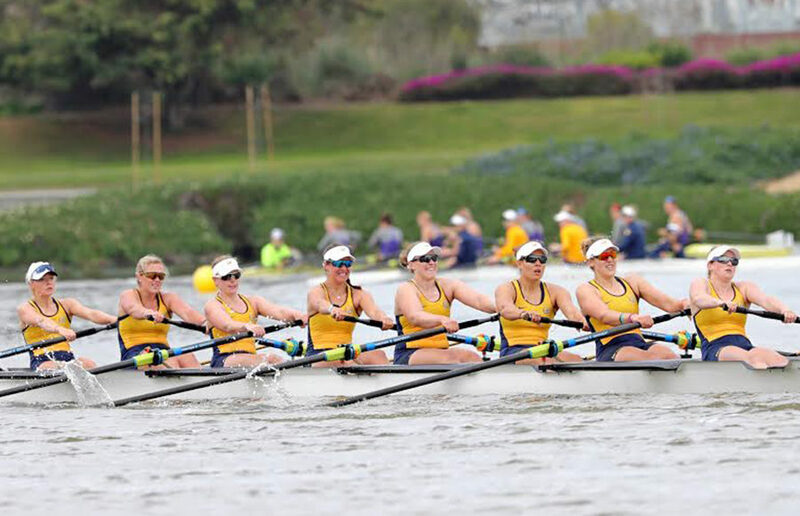 Two years after being crowned national champion at Lake Natoma, the Cal women’s rowing team will head to Sarasota, Florida, to compete in the 22nd annual NCAA Rowing Championships regatta. The Bears have earned a spot to every NCAA Championships since 1999, and they have taken home three victories over those 19 years. With the conclusion of final exams in Berkeley, the women’s crew team headed down to Florida to begin its last preparations for the regatta. The Bears spent the past few days training at the University of Central Florida and then moved to the actual site of the race at Nathan Benderson Park. This is the same venue that held the 2017 World Rowing Championships, so fans know to expect high-stakes races down in Sarasota. After finishing in second place overall in 2017, Cal will look to gain redemption over the course of the three-day event. Currently sitting at No. 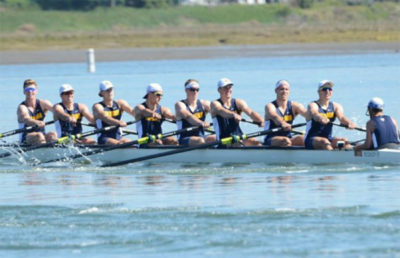 2 in the USRowing/CRCA Poll behind Washington, which has given the Bears their fair share of trouble this spring, Cal will be competing in three races, and the team hopes to do well in all of them to win the overall points category. Friday morning will begin with the initial races for the varsity eight, second varsity eight and varsity four. 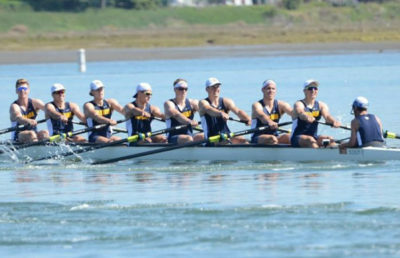 Cal’s heat for the varsity eight includes Northeastern, Virginia, Michigan, Indiana and Jacksonville. There are a total of 22 schools competing at the championships, and they will be split into four heats for each of the three races. The top two finishers from each initial heat will move on to the semifinals, and only the top three boats from the semifinals will move on to the grand final in each respective race. Cal comes into the weekend with the second seed in both the varsity four and second varsity eight, while it is the third seed in the varsity eight. In 2016, the year the Bears took home the national title, they finished the regatta with wins in the varsity four and second varsity eight while getting second in the varsity eight to end the weekend with 129 total points and the trophy. Racing kicks off Friday morning with the initial heats, followed by the semifinals Saturday and the championship races Sunday.